For many years, we have asked 200YTT teachers what topics they want to further learn in order to develop personally as well as evolve as yoga teachers. We have listened intently and reached out to the best yoga educators around the world that can satisfy what we have heard. These are the teachers we dream to be apart of the faculty for this 300YTT. We feel so blessed that they all said… YES! We are all very honoured to have such an inspiring, experienced and knowledgeable faculty for this 300YTT program! Collectively we co-created what we feel is one of the highest quality for the best value 300YTT offered. 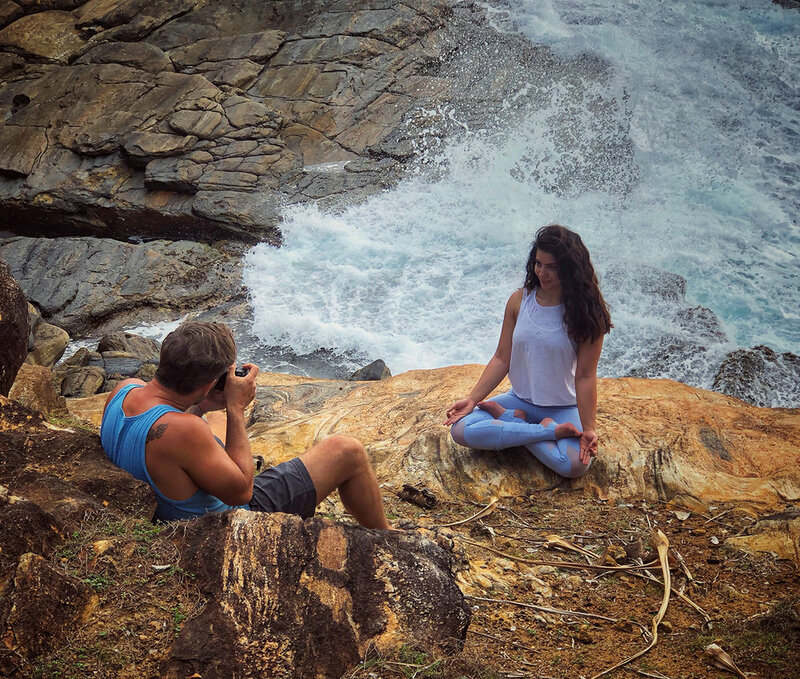 Every morning Mathieu will challenge you to practice and teach advanced asana (postures), pranayama (breathing exercises), Dharana/Dhyana (concentration/meditation); a variety of yang yoga styles such as Ashtanga primary series, Dharma mittra yoga, Vinyasa, Anusara and Hatha. You will be practicing both traditional and modern yoga to deepen your understanding of the connection between holistic & anatomical sides of yoga. Following morning practice, Mathieu will lead Asana Clinic to break down the asanas. The intention of this is to achieve the optimal alignment and guide you to develop clever cueing. He will also share multiple modifications and creative variations for each asana. Mathieu will have each of you practice giving efficient demos of each advanced asana. He will guide you in how to craft a creative and intelligent sequence with fluid transitions for all levels as well as specific future workshops. You will be encouraged to express your authentic hearts message by tapping into your own life experience through a journaling exercise. Mathieu will then create a safe space for you to mindfully practice interweaving intentional theme throughout the class. Mathieu is also very excited to teach the art of Thaï massage, acroyoga and partner yoga for you to become more comfortable with touch. This will boost your confidence in yourself as well as your hands when you perform adjustments in your privates, collective classes and therapeutic sequencing. Mathieu is a bright being that oozes positive energy and exudes pure love. He is the perfect balance of discipline and playfulness, and his laugh is contagious. He has mastered the art of light-heartedly approaching challenges and will be sharing that with you. Upon completion of this program, Mathieu Boldron will certify you as a 300-Hour Yoga Teacher registered with Yoga Alliance. Balancing Mathieu’s morning yang practice, Annie will guide you through a evening yin yoga practice. You will discover the benefits of Yin Yoga physically, energetically and spiritually. Annie will teach Yin Yoga methodology and the intention of each posture with modifications, variations and contraindications. She will be teaching you about the meridian pathways and associated emotions. You will explore “Qi” and learn how to cultivate it. She will facilitate and lead you through interesting conversations about Western anatomy meeting Eastern modalities. Yin Yoga is a gateway to enhancing a person's overall well-being by removing tension in the body and mind. In today's fast paced world, Yin yoga is increasingly in demand as more people are suffering from stress and physical ailments. This is also a sustaining self-practice that you can do regardless of age, agility and other conditions. More & more studios are seeking certified Yin yoga teachers so we think it is essential for this training. Upon completion of this program, Annie Au will certify you as a 50-Hour Yin Yoga Teacher registered with Yoga Alliance and able to use as CEU credit. The fundamental of our anatomy course is to instigate a deeper understanding of our existence. Starting at the physical level, we’ll explore what is known as skeletal differences. Based on the concept of how our bones are uniquely different from person to person, we can realize that our skeletal structure can inhibit or promote our yoga practice. As we’re beyond the physical self, we will take a thorough look at how our existence matures on the energetic level. Here our teaching is based on the knowledge of the Chinese meridian system. Find out how our psycho-emotional health manifests in the meridians and transforms into various forms of physical ailments. Upon true understanding of our external and internal self, you will learn how to apply yoga asanas to harmonize the mind body and ultimately achieve equanimity. An international published yoga author, Aman has master degree in Sanskrit language with major in Indian Philosophy/ Yoga from India (all ancient yoga scriptures are written in Sanskrit). Aman skillfully utilizes his academic expertise and 15 years world-wide teaching exposure, to guide students into understanding the authentic traditions of yoga. 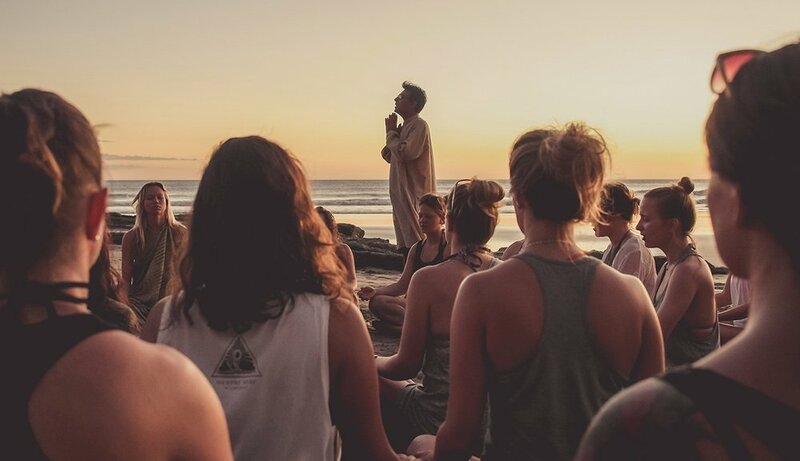 Aman will enhance trainees understanding of pranayama ,chanting mantra, meditation and other traditional yoga techniques inclusive of authentic traditional texts (such as the Yoga Sutras, Bhagavad-Gita or Hatha Yoga Pradipika). He will teach you about energy anatomy and physiology (the chakras and nadis), and you will gain a better understanding of yoga lifestyle of 8 limbs. Aman will help you understand the value of teaching yoga as a service (seva). In this pursuit, the goals of physical health, mental clarity, emotional harmony and serenity may be attained with sincere engagement. Assisting Mathieu throughout the entire training! Anna joined us a few years ago as a student on our 300hr Yoga Teacher Training in Bali. We immediately fell in love with her passion and positive vibes. When the time came to find a teachers assistant to be part of our 300hr YTT programs we all unanimously selected Anna. With years of teaching experience, her huge heart, love for everything yoga and advanced practice she has become an integral part of our team. Always smiling and a source of inspiration in everything that she does, Anna will be there to assist Mathieu and Annie throughout the training and be another resource for you to learn with. Rachel will be present the entire time ensuring you have a life-enhancing and enjoyable experience. She is a Certified Life Coach and will be readily available if you need extra support to overcome obstacles. Rachel’s mission is to encourage you to empower yourself by tapping into your intuition. She hopes you strive toward creating any needed positive changes for yourself and is happy to help guide you there. Jules will be on site to help facilitate your experience and organize exciting activities for your days off. Having spent the last few years living in Sri Lanka he can also provide you with local information about the area. He will be taking photos and videos throughout the entire training and during your practicum class. This will supply you with the professional tools for you to promote your classes & workshops.